Adopts low-level laser irradiation which is painless, non-invasive, no side effects and has good, repid effects. The instrument do not contain pharmaceutical and chemical component. Laser treatment fundamentally enhance the detoxifying capacity and immunocomptence. It’s a household portable instrument. Chargeable medical use of high capacity lithium battery and can be used continuously about 30 hours after every charging. - Low level laser treatment. - Safe, Painless, Non-invasive, No side effects. - Hair re-growth and skin beauty. 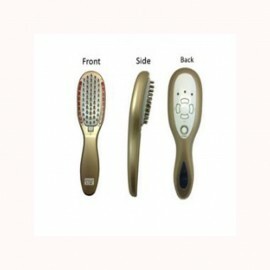 • Laser comb for skin rejuvenation beauty,Eczema,tetter,itchy skin,chronic ulcer,zona. low level laser therapy , also called cold laser therapy, is based on the process of light absorption into the cells. As the cells absorb the laser light energy, they produce more biological enzyme to heal the damaged tissue, improve the blood circulation so to reduce the hair loss , help the hair regrowth and ease the itchy. • Adopts low-level laser irradiation which is painless, non-invasive, no side effects and has good, repid effects. • The instrument do not contain pharmaceutical and chemical component. Laser treatment fundamentally enhance the detoxifying capacity and immunocomptence. • It’s a household portable instrument. • Chargeable medical use of high capacity lithium battery and can be used continuously about 30 hours after every charging. 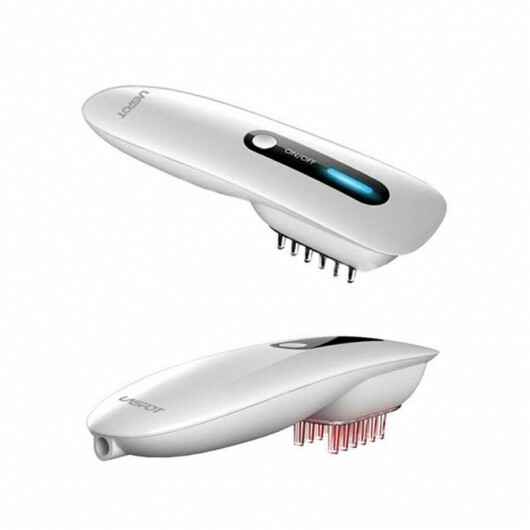 - Combing your hair 10 min.Three times per day. - If the skin have injury,close to the injury part to irradiate. - Do not make direct view or observation via optical instrument to the laser beam. - The children should only use the instrument under the direction of their parents. - Three times per day. Suspended 1 or 2 days after ten days. - Clean the comb teeth by saline water. Do not use Alcohol.